The Trump administration wants to make it easier for energy companies to open new coal-fired power plants, even as government data shows the U.S. is at the lowest level of coal use in decades. The Environmental Protection Agency's proposal would require new power plants to have more advanced technology than in their older counterparts and proposes a higher limit on how much carbon dioxide they can release. EPA says they don't expect the change will result in significantly more carbon dioxide emissions overall. 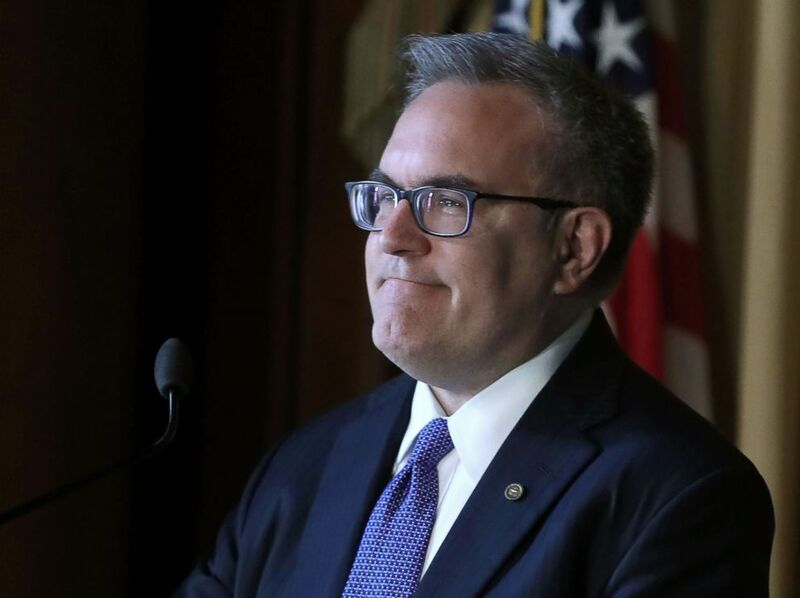 "By replacing onerous regulations with high, yet achievable, standards, we can continue America’s historic energy production, keep energy prices affordable, and encourage new investments in cutting-edge technology that can then be exported around the world," Acting EPA Administrator Andrew Wheeler said in a statement. 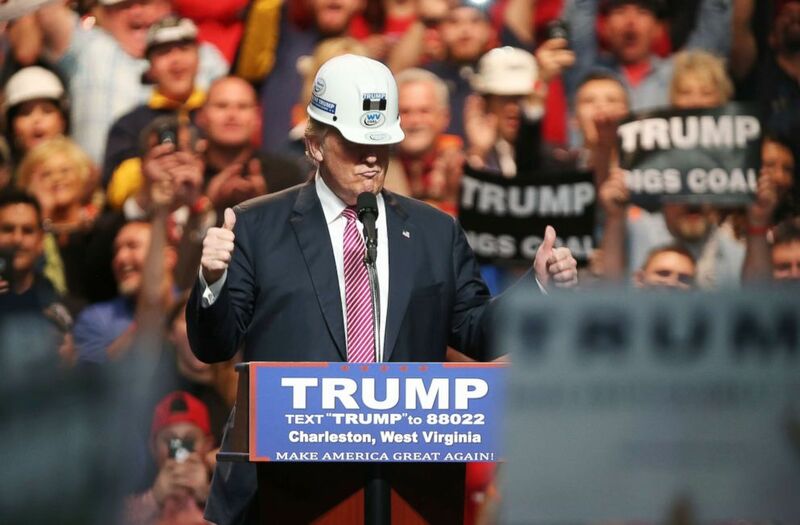 Republican Presidential candidate Donald Trump models a hard hat in support of the miners during his rally at the Charleston Civic Center on Charleston, W.Va, May 5, 2016. The proposal eases an Obama-era rule that said new power plants had to include equipment to limit and capture carbon dioxide emissions – a regulation which industry groups said was burdensome and essentially blocked any new plants. The Trump administration's move signals continued support for coal even as the international community is set to meet next week about how to drastically reduce emissions from fossil fuels that worsen climate change. President Donald Trump promised to bring back coal miners' jobs and remove regulations on coal as a central part of his campaign, saying the Obama administration went too far to impose rules intended to limit pollution and emissions that contribute to climate change. While Obama-era regulations have been blamed for why some power plants decided to close they aren't the only reason coal use has declined in the U.S. over the last decade. Government data shows that U.S. coal consumption is at its lowest level in 39 years and that coal-fired power plants continue to close, citing cheaper natural gas, older facilities, and competition from renewable energy. The Energy Information Administration says that only one "relatively small" facility is expected to come online by the end of 2019. Acting EPA Administrator Andrew Wheeler speaks to staff at the Environmental Protection Agency headquarters on July 11, 2018, in Washington, D.C.
Companies like Duke Energy have announced plans to close coal-fired power plants, according to the Charlotte Observer, and say they don't plan to open more coal-powered facilities in the future. The EPA has proposed replacements to other Obama-era rules on power plants, including more flexible regulations on pollution and greenhouse gas emissions that would enable states to set their own requirements. Those proposals have not yet been finalized. The proposed rule announced Thursday will be open for 60 days of public comment.